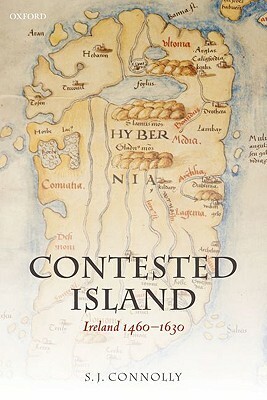 Between the 1460s and the 1630s Ireland was transformed from a medieval into a modern society. A poor society on the periphery of Europe, dominated by the conflicts of competing warlords--Irish and English--it later became a centralised political unit with a single government and code of laws, and a still primitive, but rapidly developing, market economy. These changes, however, had been achieved by brutal wars of conquest, while large scale colonisation projects had created lasting tensions between old inhabitants and recent settlers. At the same time the great religious divide of the Reformation had introduced a further source of conflict to Ireland, dividing the population into two hostile camps, while at the same time giving it a new and dangerous role in the conflict between England and its continental enemies. Against this confused and constantly changing background, individuals and groups had repeatedly to adapt their customs and behaviour, their political allegiances and aspirations, and their sense of who they were. A long and complex story, with many false starts and numerous dead ends, it is the story of the people who became the modern Irish. Author Name: Connolly, S. J.